Ermida de Nossa Senhora da Paz is a simple hermitage/chapel, elaborated into an important scenic attraction with the construction in 1967 of a staircase to represent a prayer: Pais Nossos dos Mistérios Gozosos e Dolorosos (Our Father and Joyful/Sorrowful Mysteries). It is separated into ten flights to symbolize the Ave Maria prayer. 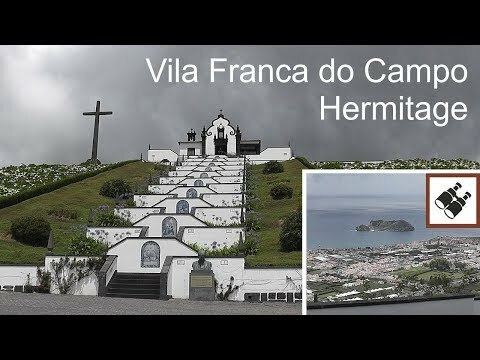 It’s located in Vila Franca do Campo, on the Island of São Miguel in the Portuguese Azores.